Do you have a parent or spouse who may need to enter a nursing home within the next five years? If so, you need to read on to prepare yourself for helping them to possibly submit an application for Medicaid in North Carolina. An application for Medicaid is a wolf in sheep’s clothing. It looks simple, but if you don’t know what you are doing and you don’t understand the rules, it could quite literally eat you alive. Many people have heard of the five-year look-back period, but they don’t completely understand what it means. Essentially, Medicaid can and will look through your finances to see if you have given any money away within the last 5 years before you apply for benefits. There are some limited exceptions (i.e. transfers to your spouse or a disabled child are permitted), but otherwise, you are not permitted to give away any assets with the sole purpose of qualifying for Medicaid. To qualify for Medicaid, the applicant’s income must be less than the cost of their care in the Nursing Home, and they must have no more than $2,000 in countable assets to their name. If they gave away all their money to charity, an adult child, or someone else to get below that $2,000 threshold, they will be penalized and their application for benefits will be denied. The penalty is equivalent to the amount of the gift divided by $6,300. So if they gave away $63,000 within the last five years, their penalty would be 10 months that they are otherwise ineligible for Medicaid benefits. When people have more than the $2,000 limit, a common piece of advice is that they need to “spend down” their money to get below that limit. However, this is terrible advice. Spending down money doesn’t necessarily mean “spending” the money. It could mean that they will just move it around from countable assets to non-countable assets. By reclassifying assets, you are not only “spending them down” for purposes of Medicaid, but you are also playing by the rules that Medicaid has laid out for us and preserving many of your assets for your own benefit or to leave a legacy after you are gone. In North Carolina, the rules may vary slightly by county, but in general, you need to gather five years (that’s 60 months if you are counting at home) of bank statements to submit with your Medicaid application. This is frequently the hardest part of the process. We will ask our clients to sign a waiver so that we can get these documents directly from the bank if necessary and to make your life easier. Probably one of the biggest mistakes I see many of my elder law clients do is sell their home in an attempt to “spend down” their money and assets. As they see it, if they have a $350,000 home with no mortgage, the equity in that home will put them over the limit to qualify for Medicaid. And… since they are moving into a skilled nursing facility anyway, they no longer need the house so they might as well sell it. In North Carolina, if you are married and your spouse will be applying for Medicaid to pay for a long-term care facility, 100% of the equity in your someplace is EXEMPTED from Medicaid. In other words, they can’t count that equity against you! It is considered a “non-countable” asset. And even better, if you are single and applying for Medicaid, (so long as you intend to return home), up to $572,000 (2018 limits) of equity in your home is non-countable for purposes of Medicaid. That being said, even though having a home will not disqualify you from benefits, the State can and will come after that equity after you die in a process called “Medicaid Estate Recovery”. There are several strategies you can use to shelter that equity from Medicaid Estate Recovery, and we frequently help our clients to do just that. This is the single biggest reason you will want to go see an attorney to help you with your Medicaid application. If you mess it up and your application gets denied, there are no “do-overs”. You can’t unring that bell. So if DMA saddles you with a long penalty because you improperly transferred assets within the past 5 years, then you will need to wait out that penalty to re-apply. For many families, this can be financially devastating. Meeting with an elder law attorney before you start the process of applying for benefits could be one of the best choices you can make. 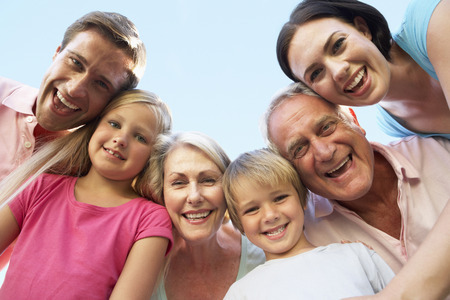 Many elder law attorneys offer a free initial meeting to sit down and talk through what your goals are and what you want to accomplish for your family. When you call our office, our friendly staff will schedule a call-back for you and an attorney. During that call the attorney will get a bit more information about your situation and, if appropriate, invite you to come in and meet with us for an initial Meet and Greet. There is no cost for that meeting – it is merely an opportunity for you to come in and find out more about us and we can learn even more about your personal situation and goals. If we feel like it would make sense financially for you to hire us, we will present you with some options about how to proceed and go from there. Our main goal is to provide our clients with enough information so that they can make an educated choice about how they should proceed. So Now You Know What You Should Do (and Not Do) Before Submitting Your Application for Medicaid Benefits. First, you should start a file of all your financial information. Make sure you save electronic versions of your bank statements as far back as your bank will let you. If you don’t have access to your financial statements online, then start saving physical copies of each statement that comes in the mail. Medicaid will want FIVE years worth of records, so it is best to start gathering those documents now. Start gathering and organizing your medical records and bills. Having this information ready when you begin the process of applying for Medicaid will make your life (and your lawyer’s life) that much easier. If you are helping your parent prepare for Medicaid, and you are being reimbursed for expenses incurred on behalf of Mom or Dad, it is best to have a reimbursement agreement in place. I’ve seen cases where adult children will buy their parents everything from groceries to lawn services to pre-paying for major home renovations. If Mom or Dad is paying you back for those expenses, you should have an agreement in place detailing how and when they will do so. If you are receiving cash from a parent, it is best to get a promissory note in place to show how and when you will pay that money back. If you don’t, it could be considered an impermissible transfer and a penalty may be triggered when you submit your application for Medicaid benefits. Lastly, if you will be paying a child for your care or other services, it is best to enter into a caregiver’s agreement. However, these agreements have many technical requirements so that they aren’t rejected by the DMA caseworker. Talk to an elder law attorney to make sure these are drafted correctly. If you envision a stay in a nursing home for a parent or spouse in the near future, and you have concerns about how to protect your assets (i.e. house, cash, retirement accounts, investments, etc.) we highly recommend that you get some help from an elder law attorney. Yes, attorneys are expensive, but so are nursing homes. And you only need to pay the fee to the elder law attorney one time. You could be paying upwards of $9,000-10,000 per month to the nursing home until you run out of money. When you look at it in this context, the elder law attorney is actually quite a bargain. For more information, contact our office at (919) 883-4861 or fill out our online contact form. Previous Post: « Do You Need an Estate Plan?